A federal lawsuit has been filed against the chemical company Dupont by residents of West Virginia after being poisoned with a chemical called C8. 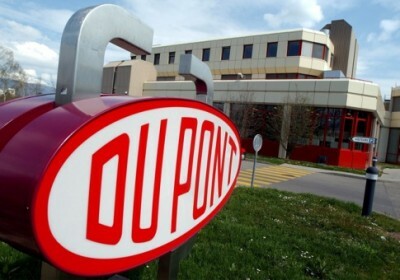 The plaintiffs seek damages from Dupont for contaminating their drinking water. DuPont has a habit of poisoning people – as many chemical companies do. The company has been sued hundreds of times for contamination both the environment and humankind. The chemical C8 is used to make the product Teflon, which can cause liver, prostate, and testicular cancer. Dupont was aware of this danger for a long time, but continued to use it in the manufacturing of products anyway. As early as the 1950s, Dupont knew just how dangerous C8 could be to human beings. In the name of profit, white collar criminals decided to ignore the facts. DuPont dumped C8 chemicals into two local aquifers, whereupon West Virginia residents have been drinking the poisoned water for years. DuPont knew since the 1980s that the chemical-water was causing birth defects, and could have acted then, but still chose to do nothing. 3M, one company who was using Teflon, even told DuPont that they didn’t want to use their product anymore due to the dangers it posed to public health. Most notable of the non-stick cookware dangers, chemical compounds known as perfluorinated compounds are also emitted from using this cookware. Once the compounds become heated, they are considered to be a potentially deadly vapor gas if taken in too quickly. Perfluorinated compounds are amongst many non stick surfaces, as well as in popcorn packaging, french fry boxing, candy bar wrappers as well as other various food items. It is best to stay away from anything that may contain perfluorinated compounds in them. DuPont continues to sell their cancer-causing chemically laden Teflon to this day. DuPont had criminal intent if they knew their products were poisoning people. Not only should they pay fines to West Virginia residents, but they should do time. DuPont’s motto – “better things for better living – through chemistry” – is a farce. You can watch Mike Papantonio talk about the case further in this video.